Over the last ten years Jemima Pett has been writing the saga of the Princelings of the East – the adventures of our heroes, Fred and George, set in a fantasy world of castles, tunnels, high seas and forgotten lands. They were originally here for all to read, but now they have an Official Website and there’s also Jemima’s blog. They are published as Ebooks on Smashwords and in many stores worldwide including Amazon, the Apple iBookstore, Barnes & Noble, Kobo, and more. They are also available as paperbacks, and there is an ebook box set of books 1-3. You can buy the paperbacks at your Amazon store (same link as ebooks) or Book Depository (with free shipping to most countries worldwide). When the K ing’s Birthday feast is ruined by an unnatural power drain, our Princeling heroes leave their scientific experiments to set out in search of answers. They encounter the enigmatic businessman Hugo, the impressive Prince of Buckmore, the wise Lady Nimrod, the irrepressible barkeep Victor, but find themselves threatened by those with vested interests. The scene shifts from a rural, feudal setting to the towers and heights of the curious Isle of Hattan, but where, or when, are they? Time is of the essence in solving this puzzle, and our heroes must keep their wits sharp and their heads clear if they are to survive. Suitable for ages 8 and over, The Princelings of the East is a fantasy adventure with the charm of the Wind in the Willows in a world reminiscent of Anne MacCaffrey’s Pern. The link on the cover picture is should take you to your local website, click here if you want Amazon.com. Or you can buy it on Smashwords for many different types of eBook Reader, including just as html to read in your browser or a text file if you prefer (which you can print off). The opening of The Princelings and the Pirates finds Fred and George ensconced in Castle Buckmore. When the Prince announces his unhappiness with the wine, they set off to discover what has gone wrong at the winery. Captured by pirates, shipwrecked, and in danger for their very lives, the heroes are drawn into the Battle of Dimerie, where Fred meets his true love and George gets more than he bargained for. Buy the Princelings and the Pirates ebook at Amazon, Smashwords and all good eBook retailers. True love never runs smoothly! Fred is now Crown Prince of Castle Marsh, and has fallen in love with Princess Kira. George is still hard at work at his strawberry juice power plant but is diverted by the arrival of a new flying machine. On a simple trip to introduce Kira to their home castle, Fred and George are thrown into disarray by a landslip. They discover a strangely quiet castle in the forest. Is it deserted? What is its secret? Why does Kira start acting so strangely? Will Fred ever find true love and will George complete his mission on time? The trilogy concludes with a tale of kidnap, mistaken identity, intrigue and a totalitarian society hidden in the forest. Buy the Princelings and the Lost City ebook at Amazon, Smashwords and all good eBook retailers. Now you can buy the three Princelings of the East books in one ebook volume. It has all the illustrations of the original eBooks, in a 400 page handy format. Lord Mariusz of Hattan, known as Hugo in the Princelings world, tells how it all started, and how he came to be selling Wozna through the time tunnel in the first place. We travel to far-flung parts of the realm and discover things that go bump in the night as well as murder, mayhem and mystery! This is the old cover, which we know you’d like. It’s got a new cover now, with Castle Hattan reflected in a lake, only it’s Castle Sowerby in the lake. This story was written for National Novel Writing Month (NaNoWriMo) in August 2012. 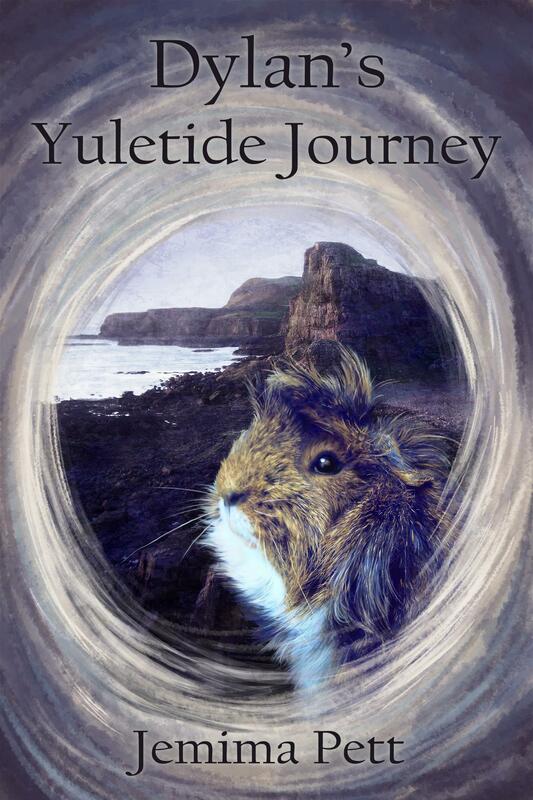 It tells how Humphrey manages out in the world as winter approaches, having abandoned the Lost City the previous summer. He makes friends for the first time, and discovers how useful his talents can be, but through battles with pirates, renegades, vampires, and warring castles he discovers he isn’t useless, gains confidence, and becomes part of a community. Things are changing in the princelings’ world, and Victor is up with all the latest inventions. He tells how he gets involved in numerous projects, including the search for George when he fails to return from a flying visit to the Rhinelands. We meet old friends, and people we’ve only heard of in passing, but find there’s plenty of deceit and intrigue for Victor to sort out. Willoughby’s own story starts in the middle of Book 1, and lovers of the series will spot his eavesdropping in Fred & George’s first story. Willoughby’s inquisitiveness takes him too far, and he gets stranded in the Realms. He soon finds a way of surviving, become a celebrated Narrator, travelling around the country. It’s perfect cover for those VIPs who would like to make use of his many hidden talents. Willoughby the ninja – narrator – spy! There’s a long way to travel between Dylan & Dougall’s castle on the northwest corner of an island off the northwest coast of Scotland. After hearing Prince Kevin’s story, the three trek first over the wild and wet moors, then south, ever south, meeting friends and foes, and getting tangled up in some very tricky situations! Will Dylan’s ingenuity help Kevin get his castle back, or is it a lost cause? This short chapter story originally appeared on the website in December 2012. Dylan and Dougall are to become the Princelings of the North. Here their home castle is threatened with a cold, hungry yuletide when the ship with their provisions is wrecked. Dylan is despatched with a message asking for help – and discovers who has stolen their strawberry juice in the process. Written for ages 8 and upwards and available FREE on Smashwords. It is also included in the BookElves Anthology Volume 1. Dylan and the Lights of Ulva was written as a fund-raiser for the islanders of Ulva, but is now available as an ebook at Smashwords. The Princelings of the East is copyright © J M Pett 2009-11. The original concept for Book 1 was first developed in “Sable and the Fiddlesticks” on the former GPRWA 2008. With thanks to members of the former GPRWA forum for the use of guinea pig names. Personalities are ascribed by the author and may not bear any resemblance to piggies or persons living or dead. I’m in all of the books. I’m the only one of us in all of them. I think. I dont know if I’m in the sixth one or not. Mummy hasnt written any of that yet. Just the basic outline. I know Hector and Humphrey are in that one. Hector’s the trouble-maker 🙂 Oops, have I given the plot away? In fact that book became number 5, and Victor isn’t in that one – but he is in both book 6 (which he narrates) and book 7 as a bystander. Hector ended up not being in Book 6 at all. He may appear in number 9 or 10.